I was over in Chalmette to see a Pride month showing of To A More Perfect Union and we decided to go old school for dinner. 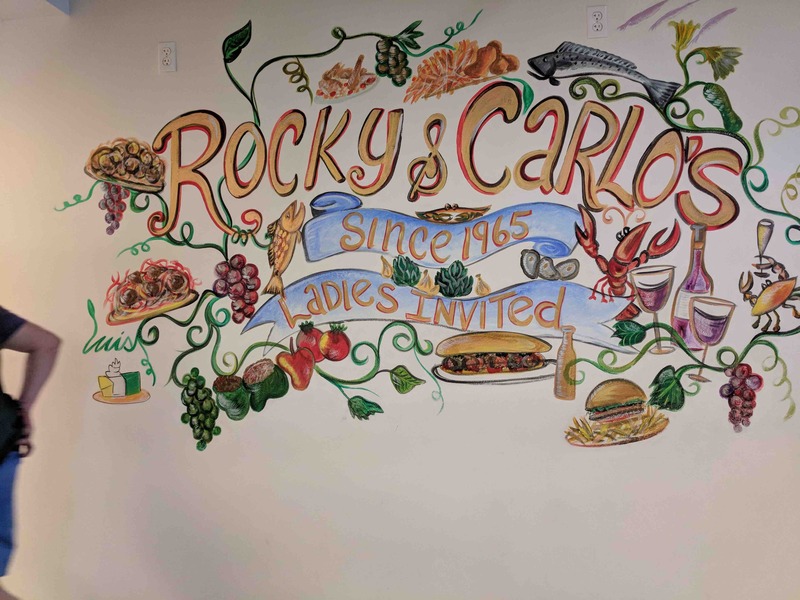 In 1965, Tommy Tommaseo, his brother Rocky and his brothers-in-law Carlo, Mario and Giuseppe “Joseph” Gioe opened Rocky and Carlo’s over in St Bernard Parish, just east of New Orleans. They wanted everyone to know their new place was a restaurant, not a bar and that men and women were welcome so they put ‘Ladies Invited’ on the signs and it remains on the front windows and cups to this day. We walked to the back to place our order at the counter from a large menu of classic Italian and New Orleans dishes. I had heard good things about their baked mac and cheese, so that was definitely what I wanted but I asked the person taking the order for a recommendation and she said go for the veal parm. I’m glad I did. 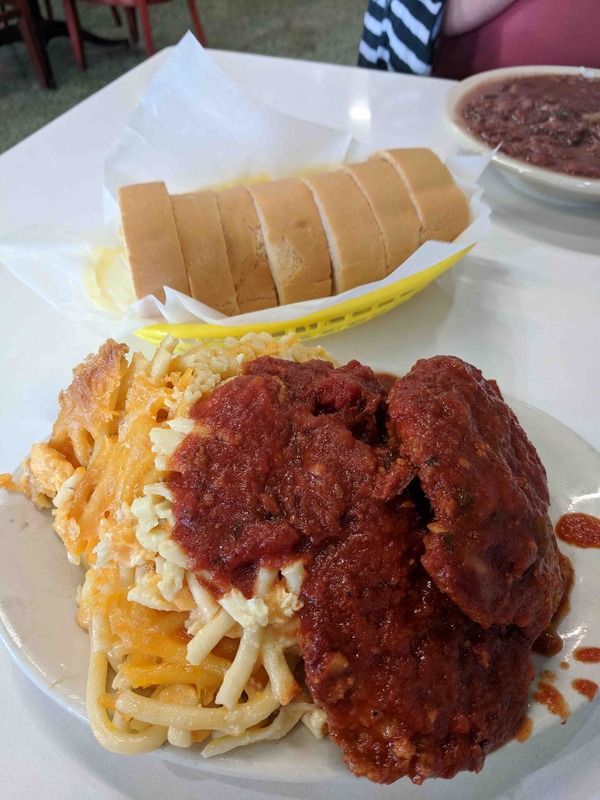 I received a heaping portion of baked macaroni and cheese topped with veal parmesan and a thick marinara, along with a basket of bread. Very yummy. And the one piece of veal parm I didn’t eat then went really well in a sandwich for lunch the next day. 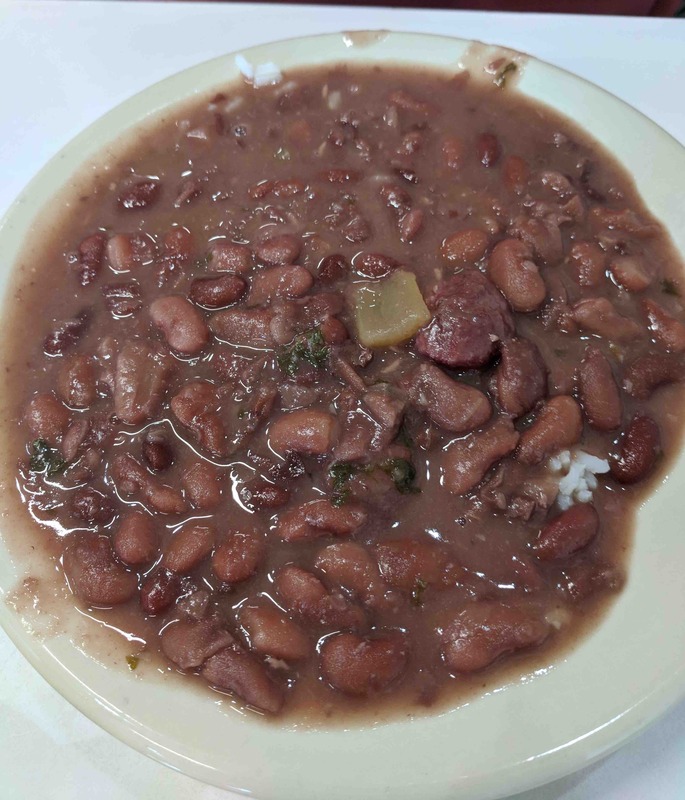 Charlotte ordered a hearty bowl red beans and rice and that thing was huge. It did need some hot sauce but the flavors were good and deep. Very happy with our visit. We received generous portions and fast, friendly service. It was reasonably priced, too! Definitely consider a trip to Rocky and Carlo’s next time you’re in Da Parish. 613 W. St. Bernard Hwy.